All my tiny humans love being in the kitchen. They love cooking and they love eating! Let’s be real; they come by it honestly. 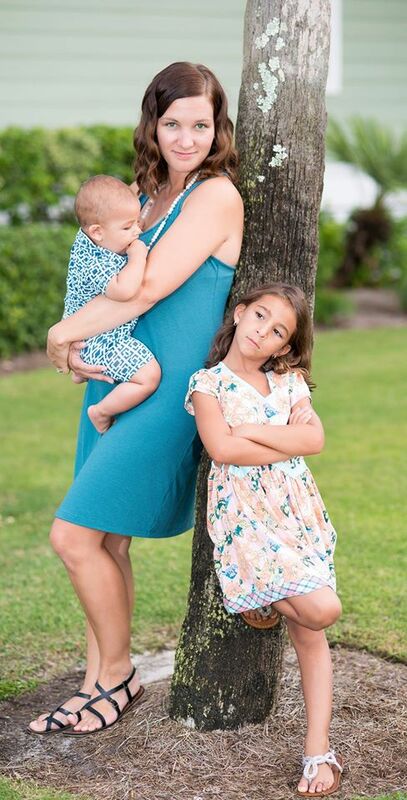 Their papa is an amazing cook and their momma is an amazing eater! Last week Mr. B and I are watching Martha Stewart on Create makie whoopie pies and other desserts. It was no surprise that Mr. be honed in on those whoopie pies and decided that he, too, must create such masterpieces. I mean, chocolate and icing? What isn’t there to love? Our week has been busy though, cleaning and purging for our trans-Pacific move (more on that another day), and sweet M has been very clingy. We just haven’t found the time to get in the kitchen and make some dessert. So I told J that Saturday morning was for me and B to finally bake. 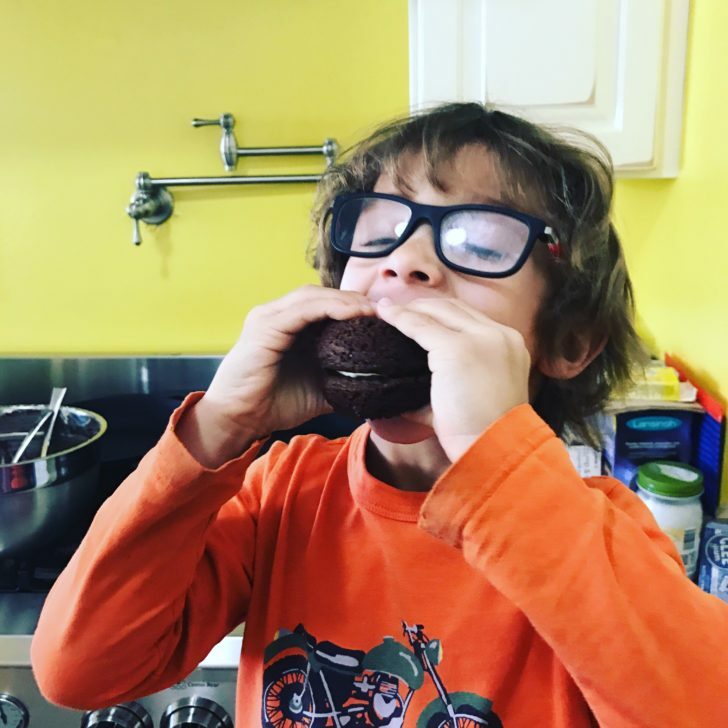 He entertained M while B and I winged our own whoopie pie recipe. 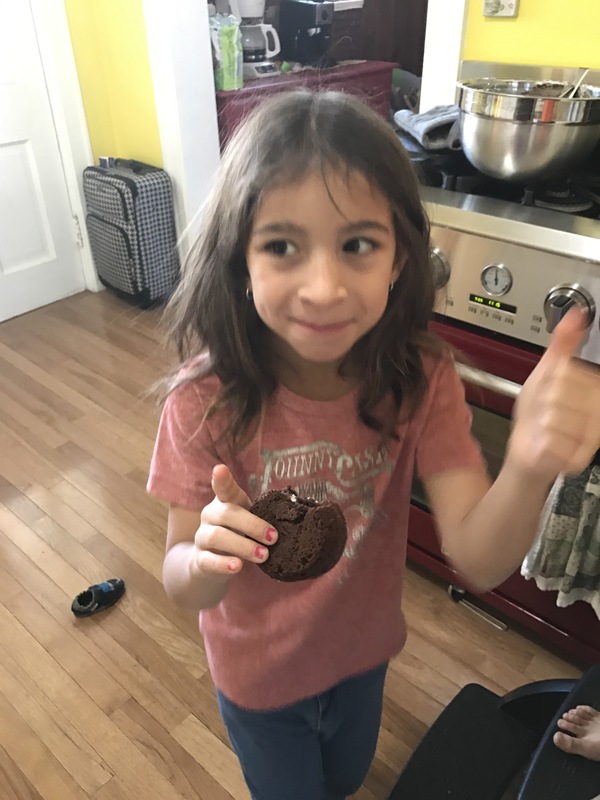 We try to avoid gluten and dairy, and I really didn’t want to have to buy any extra ingredients when we are trying to eat through our pantry, not add to it, so we came up with our own, yummy recipe! I also had a lot of fun watching Mr. B count and add fractions as he added ingredients. 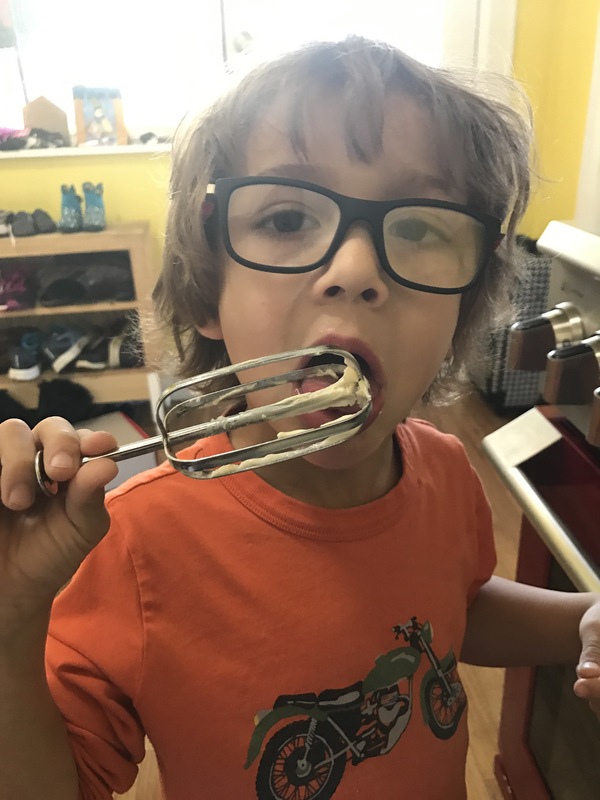 Instead of giving him a one cup measuring cup, I gave him a half cup, so he had to put those 5-year-old math skills to the test when he needed 2 cups of GF flour, etc. He learned how many teaspoons are in a tablespoon, and had to count some pretty big numbers when we needed 6 tablespoons. Not every moment has to be a learning moment, but gosh darn it, you can bet that I will try, ha. The end result was surprisingly yummy. Well, I guess it wasn’t much of a surprise. I mean, chocolate. Need I say more? 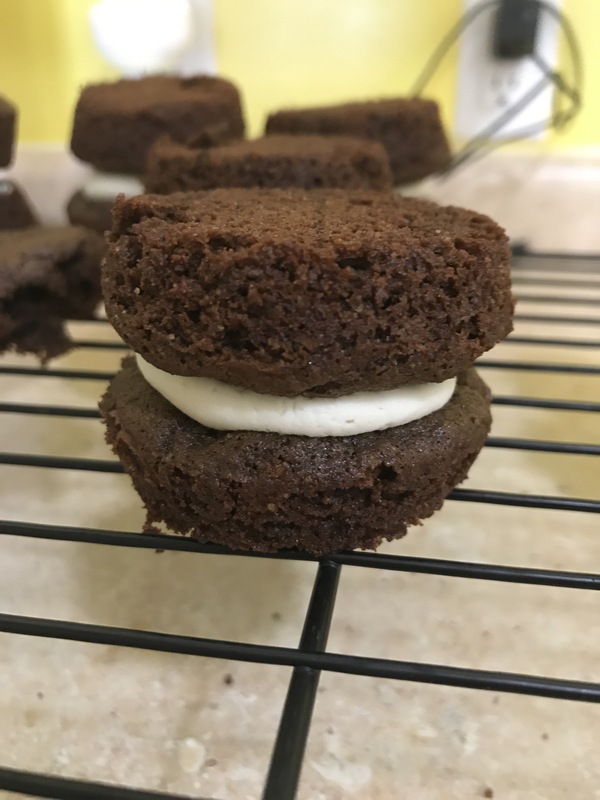 So if you’re looking to add some fun math to your life, or just eat some yummy desserts, enjoy Mr. B’s whoopie pie recipe! Preheat oven to 350 and grease muffin pans. Mix all of the cake ingredients into a large bowl and beat until mixed thoroughly. Place a heaping tablespoon into each muffin slot. Shouldn’t be more than about 1/3 full. Bake for 12 minutes – toothpick should come out clean. Move into wire rack to cool. Beat icing ingredients in large bowl. Put icing on the tops of half the whoopie pies – be generous! Then too with another cake piece. I will admit that I’ve never had a “real” whoopie pie, so our method and ingredients may be blasphemous. I apologize. But they’re delicious!